I had been dreaming of my Stockholm adventure since I found flight tickets and a hotel booking under the Christmas tree. It was now the end of April, spring – the perfect time to explore this charming Scandinavian capital I had heard so much about. But just a few days ahead of the trip (our first as a family), we were completely disheartened by the ominous weather forecast: rain, rain, more rain – and snow. 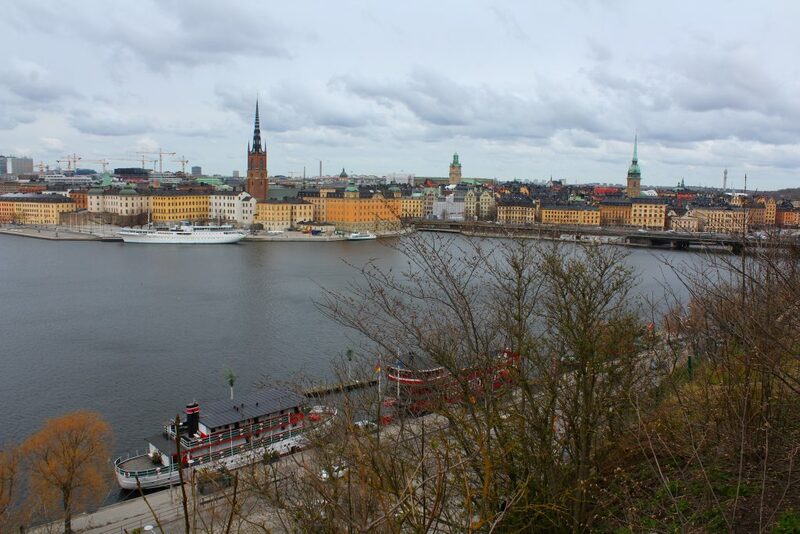 It was not what we’d been hoping for when planning our trip, but we would soon discover that rain, sleet, or snow, there is still plenty to see and do in beautiful Stockholm. The flight from Copenhagen to Stockholm was only about one hour – the same amount of time it had taken us to get from our place to the airport! On arriving, we didn’t even need to go outside – we just hopped on the Arlanda Express for our ride into town. There are less costly ways to get from the airport into central Stockholm, but the express train was incredibly comfortable, convenient and very quick – only a 20-minute ride and we had arrived at Central Station, where we caught the Metro to our hotel in Södermalm. 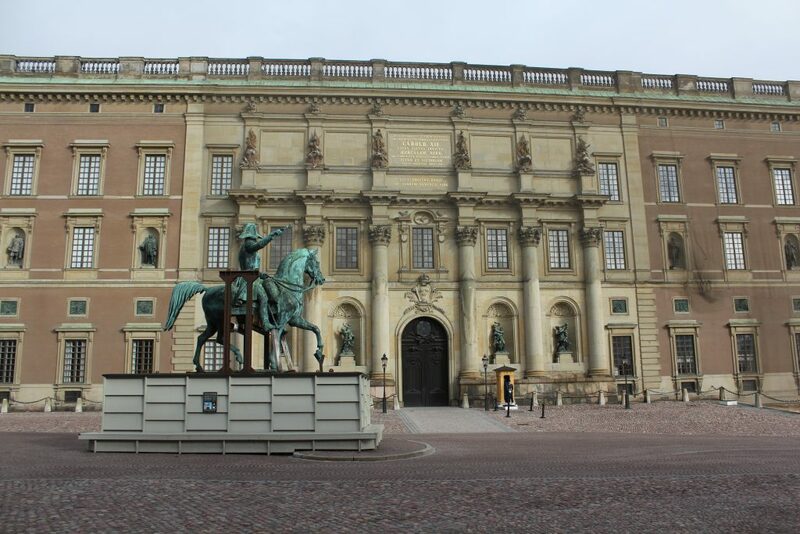 I love exploring palaces, so I was eager to visit Sweden’s Royal residence, known simply as The Royal Palace. 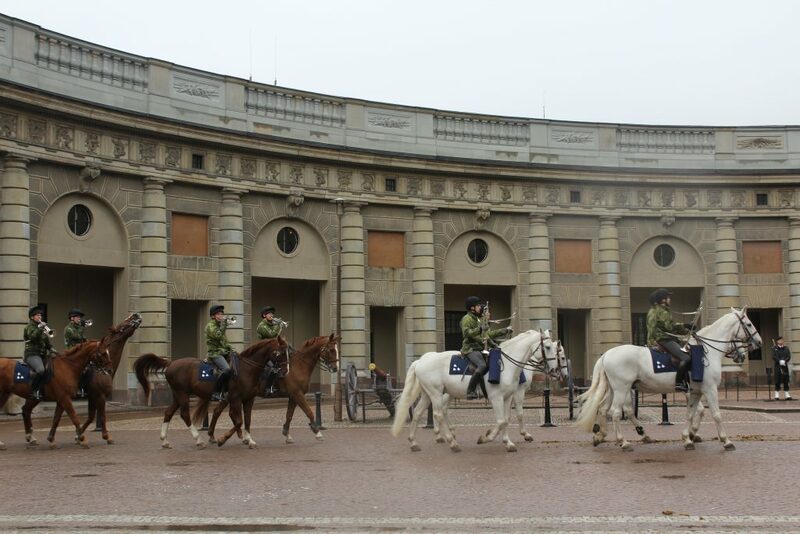 On arriving right in time for its opening at 10am, we were surprised and delighted to see a military brass band on horseback performing maneuvers in the courtyard. They then circled around to the front of the palace and headed off into the city – what they were up to we never did discover, but it was one of the most memorable moments of our stay. 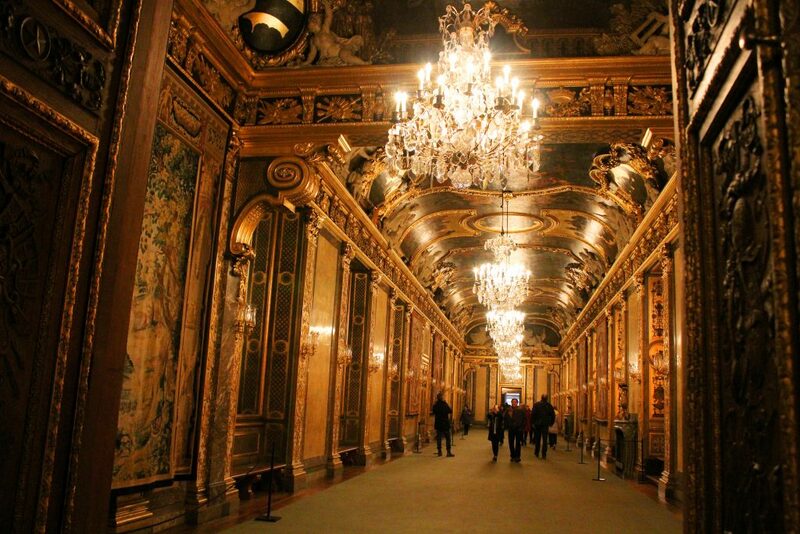 We first visited the Hall of State, where Royal jewels, medals and clothing are on display, then explored the Royal Apartments. When climbing the staircase to the apartments, be sure to look up and admire the gorgeous ceilings, and check out the unique Crown lamp with cherubs in the old Royal breakfast room. Other highlights for me were the ornate banquet hall, which can seat 170 guests, and the Guest Apartment, where visiting heads of state stay while at the palace. 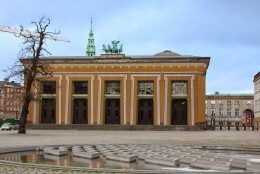 A ticket to The Royal Palace also includes the Treasury and the Tre Kronor Museum. 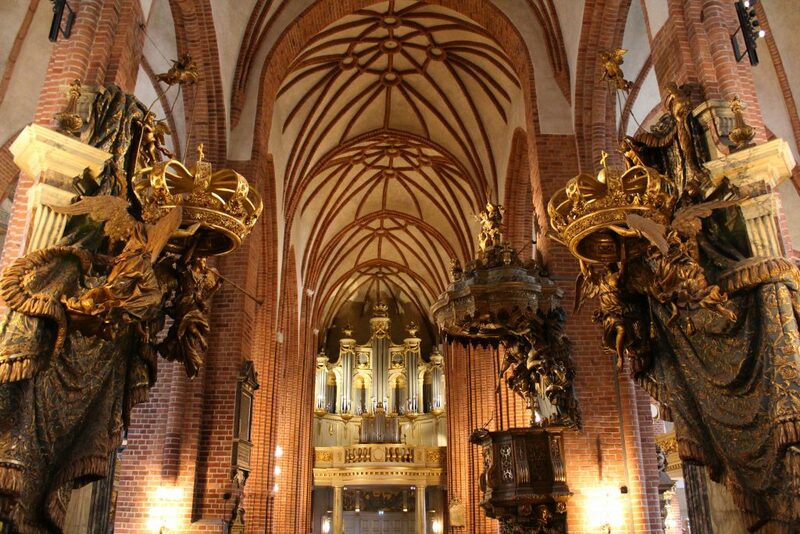 Right next door to the palace is Storkyrkan, Gamla Stan’s oldest church, built in 1279. 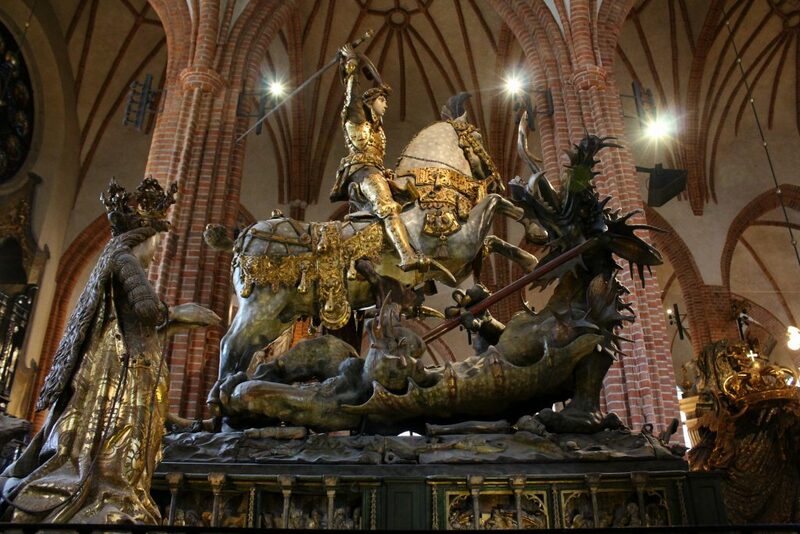 The interior is striking, with many intriguing features including ornate Royal pews, the oldest known image of Stockholm, and an impressive wooden statue of Saint George and the Dragon. Crown Princess Victoria and Prince Daniel married in the church in 2010. Entrance to Storkyrkan is normally 60 SEK, but you can add it to your Royal Palace ticket for just 20 SEK. 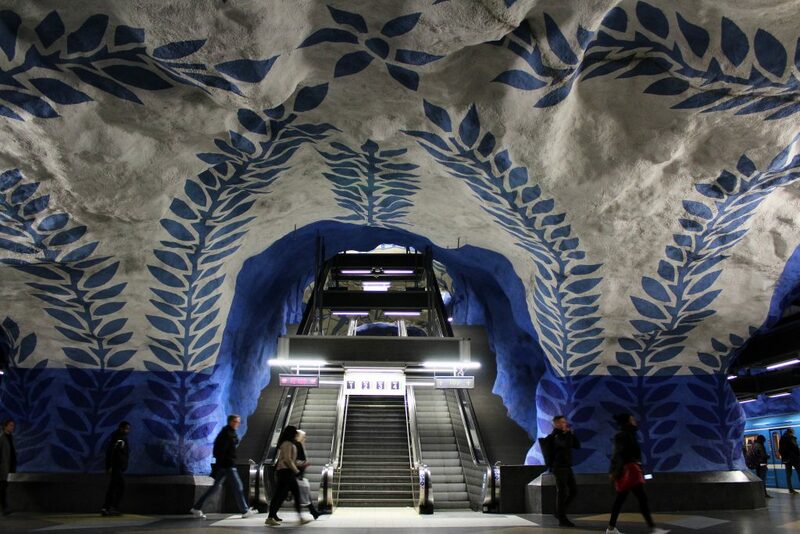 Stockholm’s incredible Metro stations have been called the longest art exhibition in the world, and they’re perfect to explore in wet weather. The rough walls of natural rock make the perfect canvas to turn what could be a boring stop on a traveller’s commute into something spectacular. We visited five of these fascinating stations, each with its own style and colour scheme: Central Station, Radhus, Stadion, Teknisk Högskolen, and Küngstradgården. 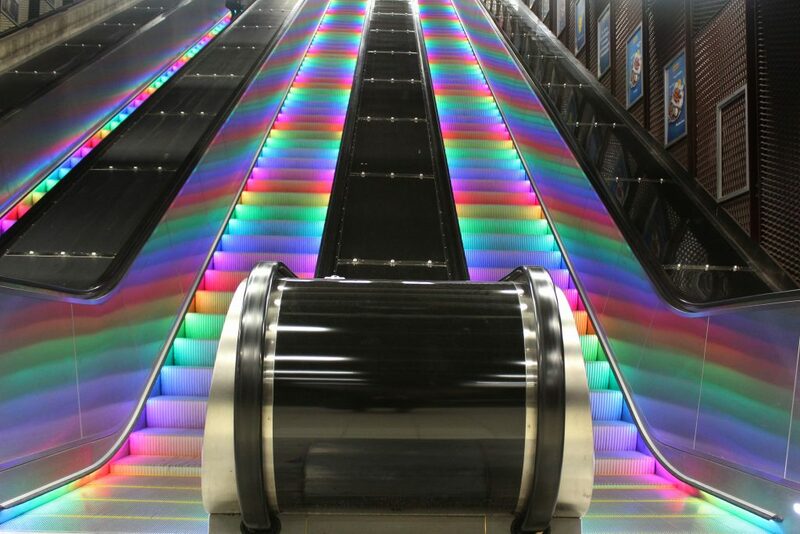 While they were all impressive, the most beautiful details for me were the blue and white flowers and leaves of Central Station, the bright rainbows of Stadion, and the colourful escalators of Teknisk Högskolen. If you have a transit pass (we bought the 7-day one), you can just ride from station to station deep underground, admiring the unusual gallery around you. 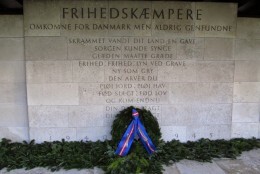 Get a Glimpse of Swedish Culture…. Out of all of the museums to choose from in Stockholm, I was most eager to visit Nordiska Museet (The Nordic Museum), Sweden’s museum of cultural history in order to learn more about Swedish culture. 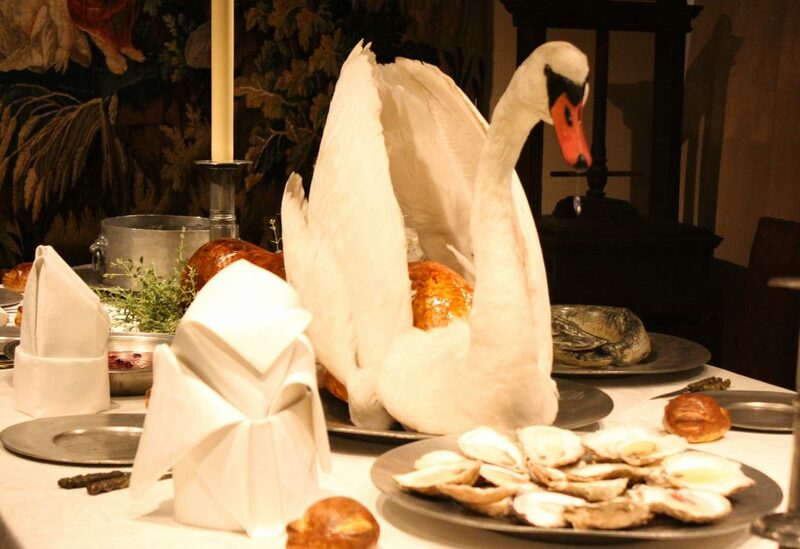 We walked though decades of Homes and Interiors, admired elaborate Table Settings (one included a real swan! ), examined quirky Small Things, and were introduced to the Sami native people. 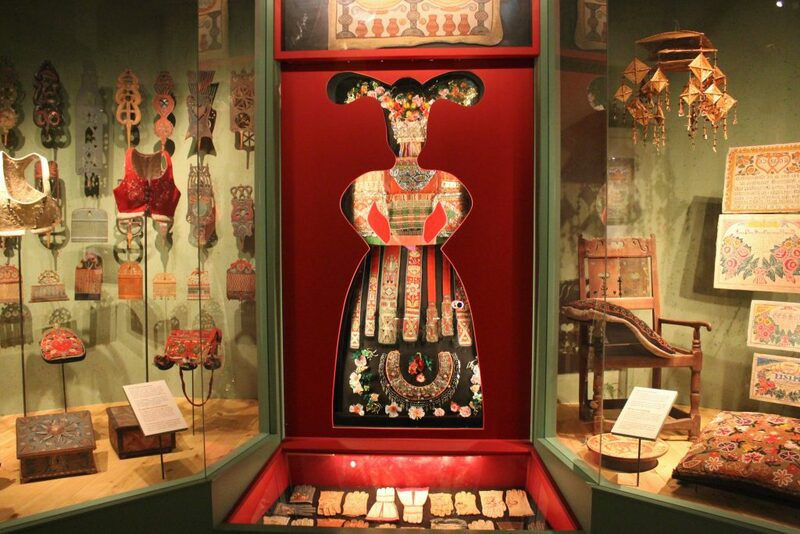 A fantastic exhibit was the Swedish Folk Art, featuring beautiful and colourful pieces of furniture, traditional clothing, and more. 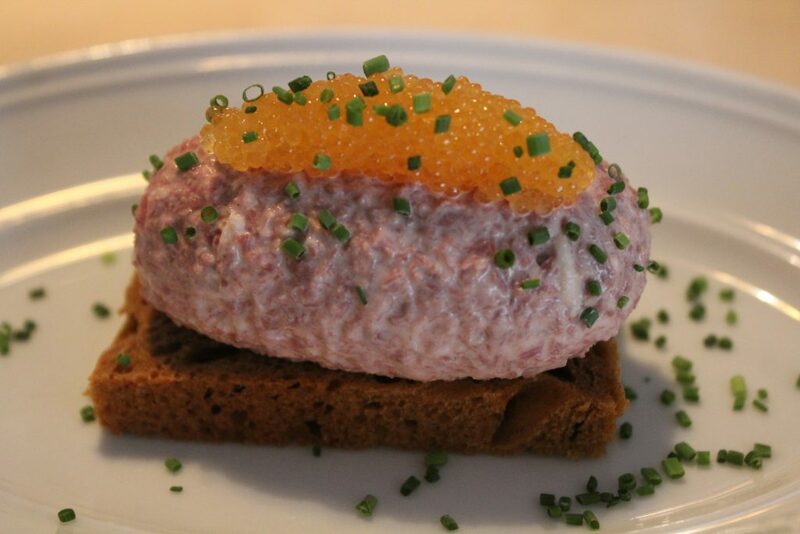 My other favourite was Traditions, learning how Swedes past and present mark special occasions like birthdays, Christmas, and Midsummer, along with some more unusual festivities – did you know they that fermented herring and crayfish each have their own celebrations? 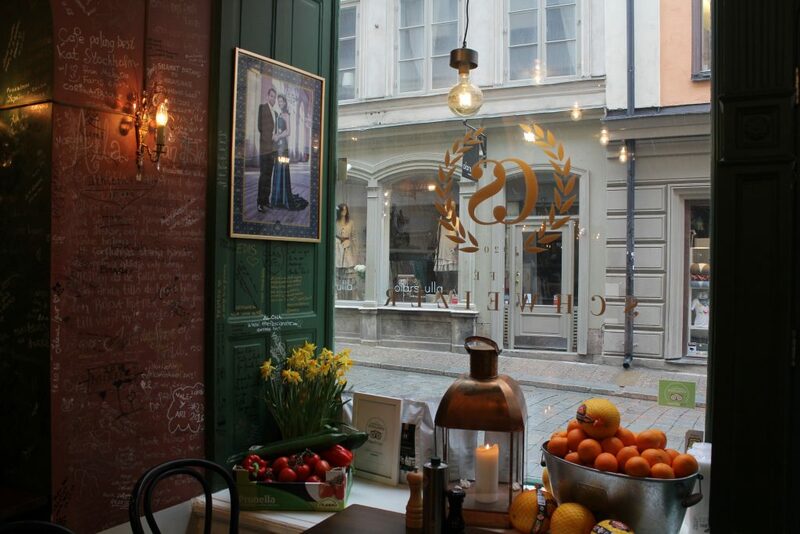 For our ‘treat yourself’ meal, we had lunch at Österlånggatan’s Tradition in Gamla Stan. 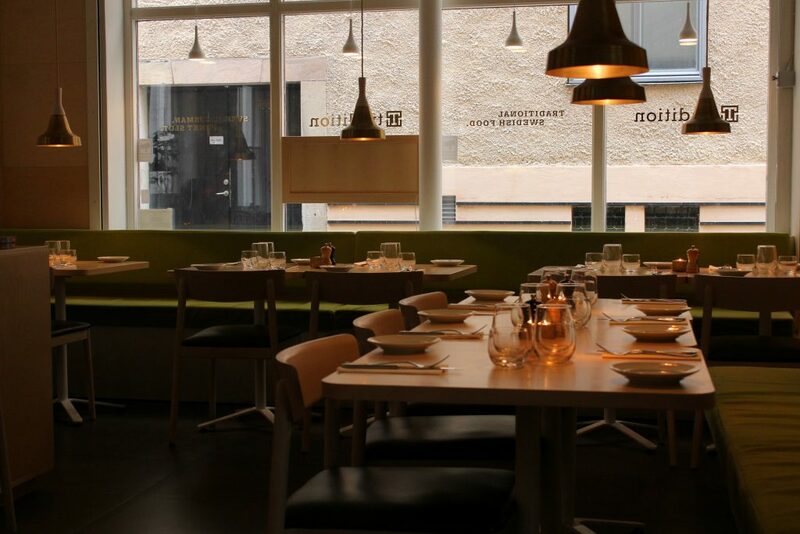 The decor is minimalistic and stylish, and the menu (as the name suggests) traditional. They offer a tasting menu and à la carte, as well as some great lunch specials. My daring husband started with a smoked reindeer appetizer, while I enjoyed the incredible slices of soft, dark loaf in our bread basket. I opted for the classic meatballs with mashed potatoes and fresh lingonberries, accompanied by a delicious homemade lingonberry lemonade, while he enjoyed a game stew. 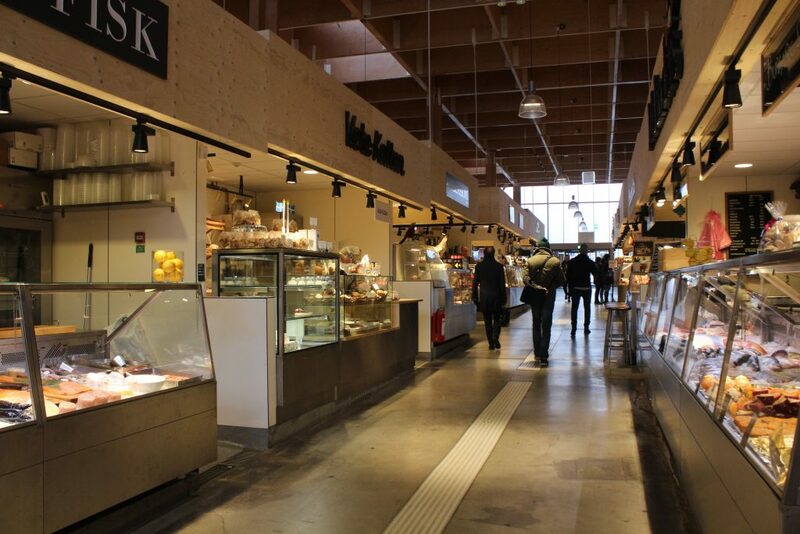 It was a true taste of Sweden, with good prices and great service. We also paid a visit to Östermalm’s Saluhallen food market, which is currently housed in a temporary location while its historic building is being renovated. It doesn’t quite have the same charm as its permanent location, but there is a great selection of goodies from meats and cheeses to chocolates and fresh fruits, and of course incredible pastries! 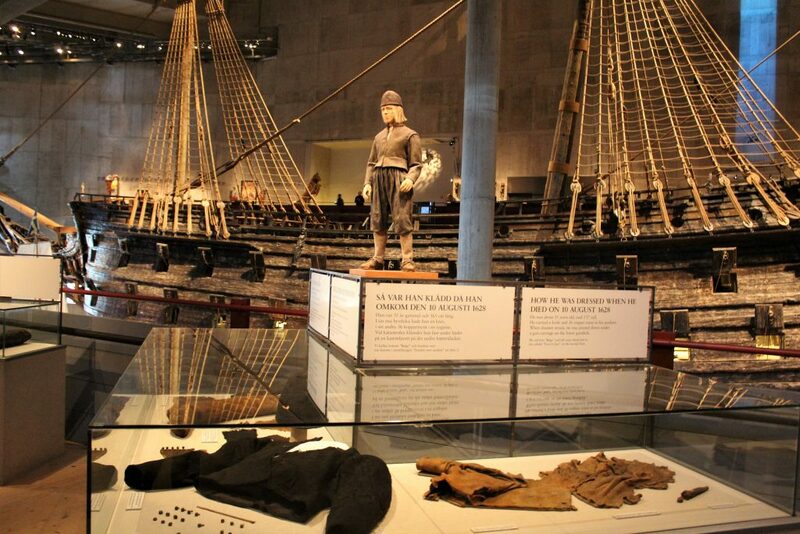 Like Nordiska Museet, The Vasa Museum is located on the island of Djurgården, and is equally worth a visit. The Vasa is Stockholm’s most popular museum, and considering the city has so many of them, that’s really saying something. 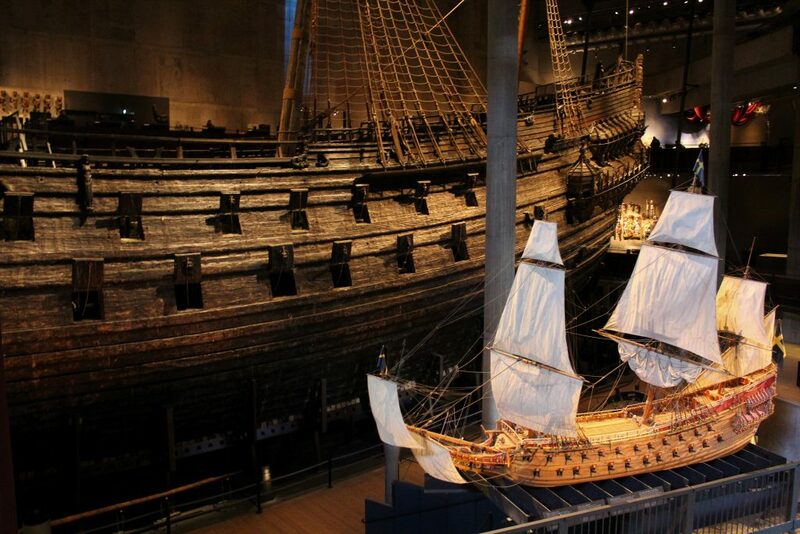 The war ship Vasa sank in Stockholm harbour in 1628, just moments after setting sail on its maiden voyage. The cause has never been definitively discovered, but it’s thought that it was capsized by the high number of heavy cannons on board. Walking into Vasa, you’re struck by an incredible sight – the massive ship itself, salvaged from the sea after 333 years under water. The most interesting for me was seeing the articles that have been recovered from the sea bed, from clothing to dishware, as well as the Face to Face exhibit, which features the stories of those who were lost on board – who they were, their roles on board, and facial reconstruction sculptures of what they may have looked like. Though visitors can’t enter the ship itself, there is a recreation of some areas including the officers’ quarters, which gives you a feel for what it was like on board. In Denmark, the warm comfy-cozy-contented feeling is called hygge; in Sweden they have the coffee and pastries ritual of fika. 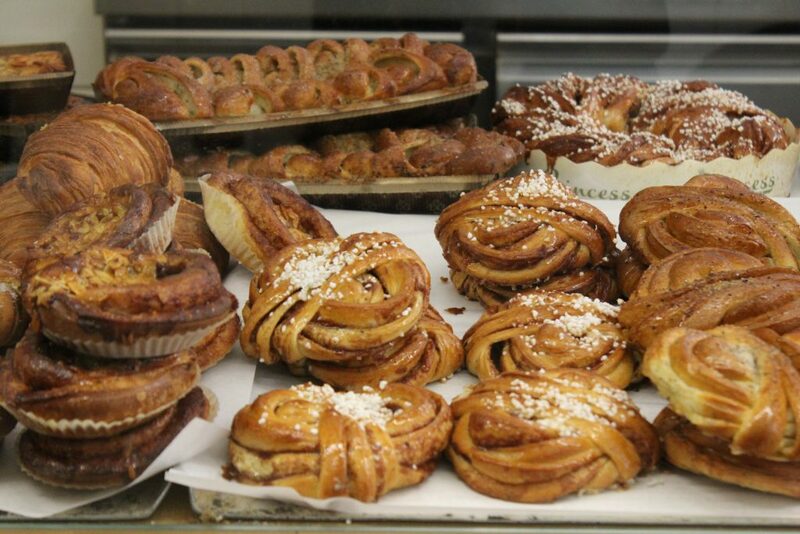 There is no shortage of fika to be found in Stockholm, with its many cafés and coffee spots perfect for warming up. The pastries are especially amazing! I must admit, I think that when it comes to cinnamon rolls, I prefer the Swedish kanelbullar over the Danish kanelsnegle (shhhhhh). They’re just so soft and moist, and they come in all kinds of other flavours like cardamom, almond, apple-vanilla, and pistachio. We had fantastic bullar at Princess Konditoriet in Södermalm, and in Gamla Stan, delicious hot chocolate at Chokladkoppen and a wonderful breakfast at super cozy Café Schweitzer, whose cakes also looked incredible. 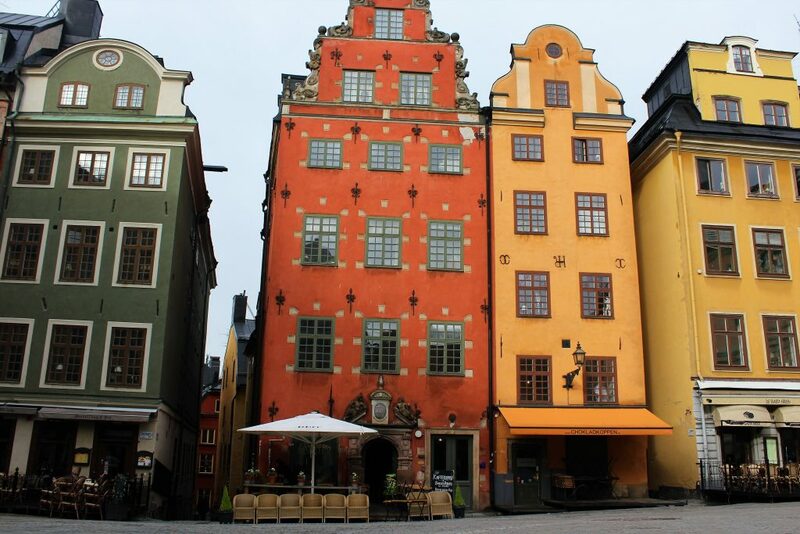 Gamla Stan is also home to Stockholm’s oldest conditori, Sundbergs, which dates from 1785. 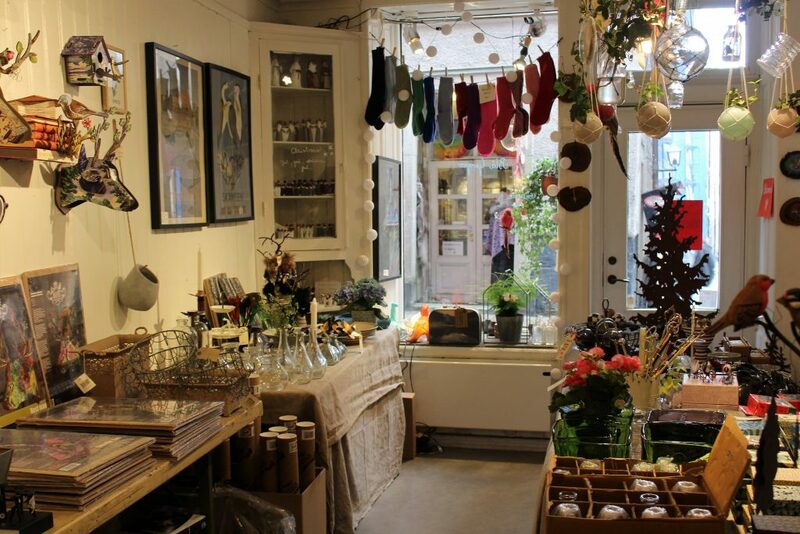 The historic streets of Gamla Stan are narrow enough that you can pop in and out of all the cute little shops while barely getting wet at all! 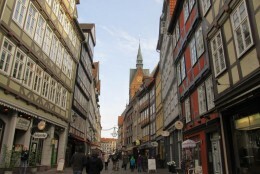 The main shopping street is Vesterlånggatan, where you can find design stores mixed in with souvenir shops. 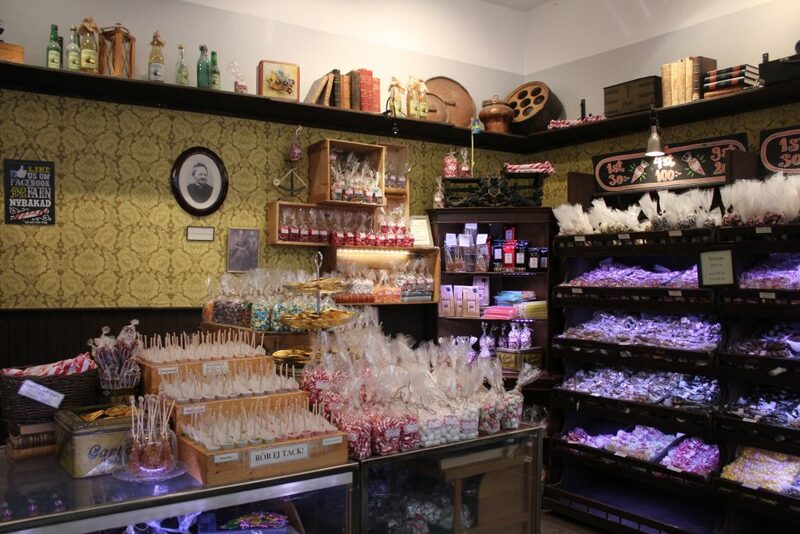 For a little trip back in time, visit the nearby Polkagris Kokeri candy shop, where they hand-make hard candy in the old-fashioned style. A little more tucked away is Österlånggatan, which has adorable shops like Blå Gungan, where I wanted to buy literally everything but in the end settled for a small poster of Gamla Stan as a souvenir of our amazing trip. Stockholm will charm you no matter the weather. From the multitude of museums, fascinating cultural experiences, charming shops, and flavoursome local cafés and cuisines, there is always something catch your interest and imagination and make your visit memorable. I was generously provided with Stockholm Passes by Visit Stockholm, however the opinions discussed above are my own, and all recommendations made are personally chosen.